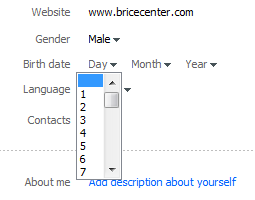 Your birth date in your Skype Profile is public, and you cannot change the setting to restrict it to contacts only, or hide it from the public, but you can remove it. 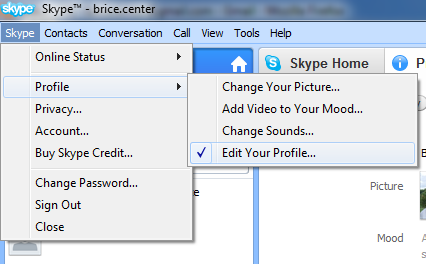 Below are the steps to delete your birthday from your Skype Profile. 1. Open Skype on your computer. 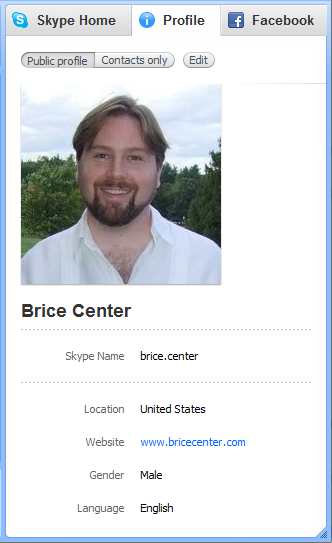 Go to the Skype menu, then Profile, then Edit Your Profile..
2. At the top of the Profile Page, click the Edit button. 3. One by one, click on the birth date Day, Month, and Year, and scroll to the top of the selection box, and select the blank. Each entry will be deleted. The Skype profile saves automatically. 4. Click on the Public Profile button at the top, and double check that you don't see your birthday in your Public Profile.